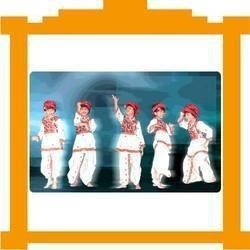 We provide children photography services for kids capturing their innocence, playfulness of childhood. These portfolios are executed in unique and completely personalized manner keeping in mind the specific requirements of clients in mind. Our talented photographers ensure extreme clarity and high resolution of stills. Keeping in mind the ever-evolving requirements of esteemed client, we are offering exclusive range of Art Folio. The offered product is manufactured at our vendor's end using latest techniques and optimum grade basic material. This product is highly demanded by our clients for its attractive look and mesmerizing prints. Whether you are in any show industry or any professional, get yourself a portfolio showing pictures and text explaining brief about your qualities, achievements and work capabilities and present it to your potential clientsTo make it impressive we add creative images for a lasting impression. We do creative Modeling Portfolios & as we are a production house which is existing in the market since last 15 years & have done more then 200+ ads, once the portfolio is done, we also cast the models in our project and forward there images to TV channels & advertising agencies for more opportunities. As our tag line says "Models are made … not born". A good model is created by the team work. This team work also includes a professional photographer which captures you for presenting yourself to the world. Along with artistic range of handmade paper products and stationeries, 21st Century Kagzis is famed for unique series of handmade paper drawing portfolios. Our distinct collection of portfolios is made of various handmade papers. Art folios are made of strong light weight, scratch resistant polypropylene, hand sewn double opening zipper for easy opening and closing. High quality handle, shoulder strap for comfort in carrying. 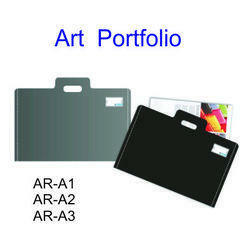 Order online Artist Portfolio at Stationerycarts with unbeatable prices. Provides a place for users to buy and trade referrals for free products websites.